Sedo, a premium DomainGang sponsor, has rolled out its final GreatDomains auction of the year. After sharing outstanding results for 2018, Sedo is about to break new records as December’s GreatDomains auction is now ongoing, from today until December 13th. We took a look at the 70-strong domain inventory being auctioned currently, and we have to say that domain quality has increased. Sedo has changed GreatDomains into a bi-monthly feature, to ensure that better domains are being offered for sale. Sedo at MERGE! 2018 in Orlando, FL. 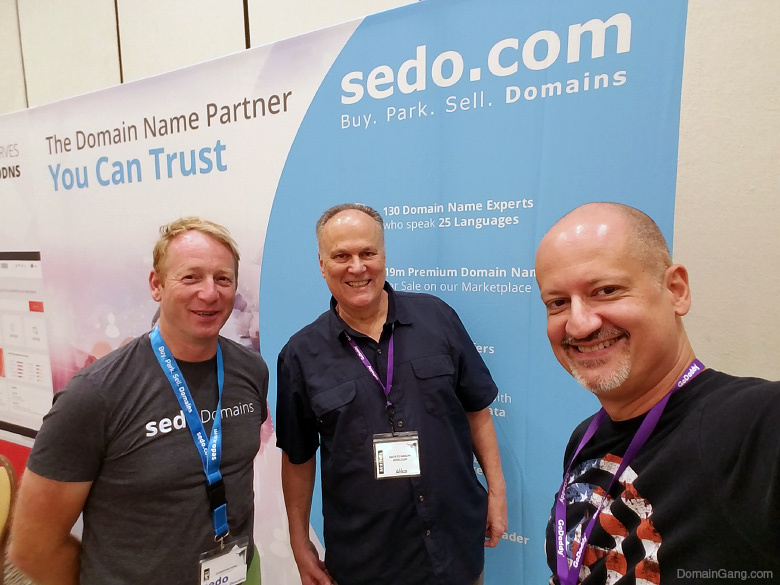 Here is our “Seven with Sedo” choice from the GreatDomains inventory; although Sedo is a premium sponsor, this selection is entirely ours and there are no referral kickbacks whatsoever. Bra.com – Today’s breast-supporting industry caters to women with a variety of styles and prices. The domain last sold for $162k in 2012, and current reserve is in the 250k-500k euro range. Boot.com – Whether it’s about fashion or computer technology, this domain is short and sweet with a reserve in the 50k – 100k USD range. Yachts.com – Category killer domain, fit for a king, a millionaire or a company catering to that 1% of humanity. Reserve in the 500k – 1mm USD range. Tuesdays.com – Why restrict yourself to Fridays, when Tuesdays matter too? It’s right before Humpdays, and with a low reserve in the 10k – 25k USD you can’t go wrong with this brandable. SingleMen.com – Ladies, the holidays is the time of the year to grab your dream man. Guys, get ready to strut your stuff, so bid on this great two word domain that comes with a 10k – 25k USD reserve. London.info – Brexit is imminent, but London is always a great destination, a commerce and fashion hub. Reserve is in the 500 – 1k USD range and it’s expected to sell fast. M2.com – Short, two character domain that’s clean and brandable. Mach 2? Me too? Anything goes. Reserve is 100k – 250k USD so get that checkbook ready. View the full Sedo inventory at GreatDomains – final auction for 2018!